Influencers are everywhere on Twitter. They’re witty, they’re insightful, they’re powerful… and they’re bombarded every day by people like you who want to tag along on their coattails towards stardom. Here’s the problem, though: They don’t know you yet, and you have to stand out from among all the voices striving to gain their eyes and ears. So what are you going to do to make sure you’re the shiny piece of gold amidst the iron scraps? If you really want to connect with influences using Twitter, you have to get downright creative. You also have to be willing to be totally real. Act like you’re both human beings, and stop telling yourself that the influencers will never respond to you! After all, they’re made of flesh and blood, too, and they are obviously open to learning. The trick is to stop force-feeding your messages and pitches. No one likes to feel like they’re being manipulated, and that includes all those influencers. Instead, try one or more of these techniques to cleverly and properly get noticed. When you have to make your next pitch, turn it into a story and add tweets by relevant influencers. Make sure you only use items that are pertinent to your story. When you publish on the Storify board, you’ll get the option to notify those who you mention in the Storify board. Those influencers will see that you’ve used their quotes, and might even be willing to talk about your client’s piece. This is a boon, especially if your influencers are big in media, as in the case of journalists or radio personalities with large followings. “Duh” you might say, but you might be surprised the amount of people who don’t put their influencers in a list. If you haven’t already, create a list revolving around the topic your influencers like, such as “awesome foodies,” and add those you want to connect with, to it. The influencer will be notified that they made it to your list. Then, follow them like crazy and make sure you re-tweet or favorite anything they say that’s relevant to your list. Who knows? They might even decide to follow you back if you keep up with the Twitter list and make it interesting and fun. Don’t forget to join #SocialCafe every Tuesday 6p PST / 9p EST! 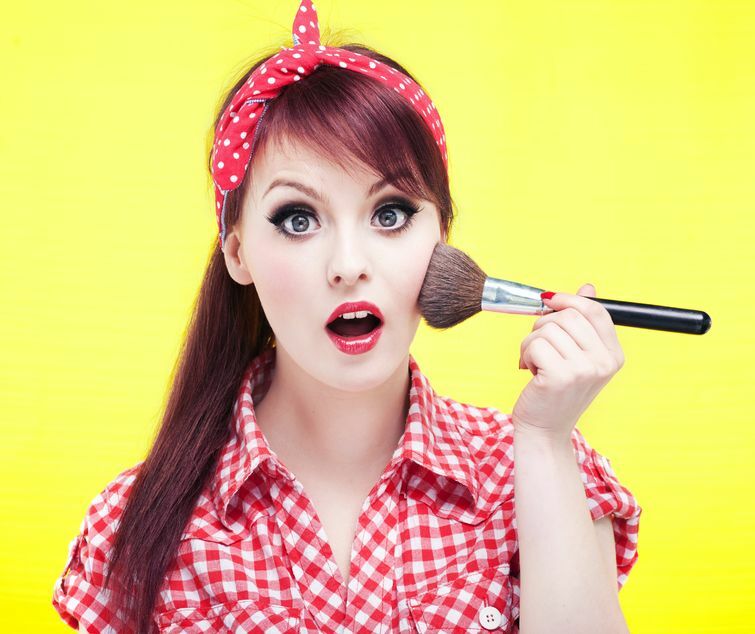 Does your influencer get involved with Twitter chats? If so, you can partake in those chats, too. Bring up thought-provoking ideas revolving around the topic being discussed. Ask questions and make a special effort to favorite or retweet what the influencer tweets. Influencers like to be stroked, but only subtly. For example, you could publish a Top Ten list with the best gardening blogs and include those you want to connect with on Twitter. When the list goes live, send them a tweet to let them know they were included. Who knows? A “thank you” or follow might be your reward. Okay – this might be tough for all the folks who are by-the-book and not accustomed to tapping their right brains, but it’s essential. Start… Being… INTERESTING. When was the last time you retweeted a boring tweet? Never? That’s probably why your tweets aren’t getting retweeted or seen by influencers! Harness your goofier or creative side once in a while; you might even attract enough attention on the Twitterverse to be asked to speak at a convention, host a Twitter chat or add your two cents to an article. You’re on Twitter anyway, so be a little bold this year and start working on your influencer communications. You might just discover that those influencers aren’t as untouchable as you thought. 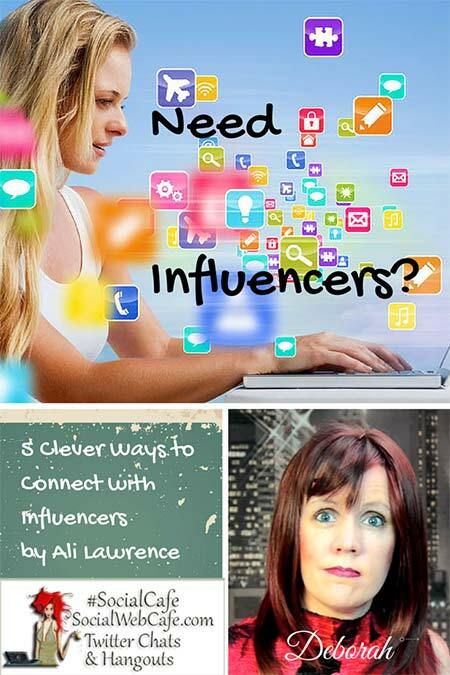 To find out about Ali Lawrence, visit her SocialWebCafe author profile. I like to follow influencers and answer their questions… it really gets their attention if you are helpful! I am really confused in between Twitter & Facebook. that which one is better for converting likes to visitor. for me its really tough to manage both so advice me the best. Hi Sandeep. The comparison between Facebook and Twitter is really a deeper discussion. It depends on your objective. For one example, Twitter works well if you want to provide the same message over and over at intervals. You wouldn’t want to send it every 30 minutes or you would be spamming, but certainly scheduling a similar tweet, referencing your blog post, say a few weeks later is fine. You can do this a little bit with Facebook, but not as much. People do not want to see the same status update multiple times on your page or profile. And, using Pinterest in this example, you generally only want one pin per board, so you wouldn’t repeat that one at all. This is only one example (a minor one at that), but shows how different social media networks are used differently. Truly, for your question, there needs to be a deeper analysis of what you are attempting to accomplish, your objectives, what you hope for as far as ROI, then the answer is more readily identifiable. I am not writing this to solicit business, but if you want specific coaching for social media marketing for your business, feel free to contact me to schedule paid coaching. The first session is free. Hi Sandeep! Sorry I’m just now seeing your comment! I completely agree with Deb’s advice–It will depend on your goals and audience. For example, if you have an SEO blog then you’ll do very well on Twitter vs Facebook (at least in my experience). So the best thing you can do is find out where your audience is and focus engaging with them on that platform. You have solved my big problem in this article, as I love to connect with influencers but won’t succeed in connecting with them. But now after reading your article I’m going to using all 5 steps that you have mentioned in this post to connect with them. Thanks for sharing and I’m going to bookmark your website. I’m sure about these tips that they will definitely work to connect with influencers on twitter. Thank you for sharing highly valuable information. I really like the Twitter list idea. I used this feature quite a lot when it was first released but have let it fall by the wayside. Thank you for the reminder! Point no. 4 is though provoking one. I think this is the most effective way to get noticed by influencers. Interviewing and guest posting on their blogs will add up the spice. But, one need to be consistent and patient. Recently, I noticed how quite some influential people started following me, mentioning me, direct messaging me, favoriting me. I’m talking people who had 500K+ followers, and I thought I must be doing something right. I was in cloud 9. And yes, it seems I was doing something right, which your readers could try. 1. begin by following several influencers simultaneously: as you follow one, Twitter recommends similar people. Follow them immediately. 2. Once you follow several of these. Retweet their tweets, reply to it, favourite it, etc. And also add insightful comments of your own. Do this often enough, they will take notice of your name/@handle and sooner than later will follow you. 3. And once a few influencers starts following you, they just start rolling in somehow. This is what I did with my personal account. I am going to replicate this with my business account and see it it happens again. How an useful your post ! 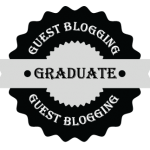 its a great blog. i like this blog.i am very happy to get this 5 clever ways to connect with influence’s on twitter. Storify your releases its a best idea for making ideas..
Great to see the ways to connect with influencers on twitter. These are really excellent ways. Hope it will help me a lot. It’s interesting using Twitter and it’s a great way to interact with influencers. Hey Alicia thanks for sharing this article. I have been searching for long about the ways for connecting with influences in Twitter. The 5 points you shared is very relevant and descriptive. Thanks for the upload. great article….Thanks for sharing it….as i am not friendly with twitter….i think this will help me to become friendly with twitter……..
Hi Alicia, I’m really glad you wrote the post. Good idea’s! !More features about twitter that I Didn’t know but after read this I learn many things. Twitter was a really good social networking site .,.,. Awesome work on this post Alicia. I appreciate you putting in the time to create this great resource! For example, if you have an SEO blog then you’ll do very well on Twitter vs Facebook (at least in my experience). So the best thing you can do is find out where your audience is and focus engaging with them on that platform. Awesome tips to make friend on twitter. Twitter is a best place to market your content. Thanks for this wonderful share. Twitter offers more today, post your videos, images or just text tweets to get more followers and generate traffic for your website. These are some great piece of information. I really appreciate your hard work. Thanks a lot. I worked fr me. great post about how to Connect with Influencers on Twitter and very useful tips. i will try this tricks soon. also looking forward to more about Facebook. Connecting with influencers is the smartest way of getting huge viral traffic with minimum efforts and Your guide is really helpful. Thanks. Really very effective tricks to connect with twitter. Thank you very much for writing here for us. Engage, interact & build relationships. Have an active, focused and useful presence. Thanks for sharing this post about 5 Clever Ways to Connect with Influencers on Twitter. This awesome post help me a lot. On behalf of our wonderful guest author, thanks, Smith. Much appreciated! Thank you for sharing this great information. In this post give good information about Connect with Influences on Twitter for that good explanation in detail thar helpful . Thank you Deborah for a great pro tips to improve our Twitter skills. Definitely you should write more texts. Hello, Filip. On behalf of our wonderful guest author, I thank you 🙂 But, I will try to publish more often here, on SocialWebCafe. It has been other popular sites that have been benefitting from my authorship, but SocialWebCafe is my baby, so I will provide more content to my valued readers, such as yourself. Thanks. Kim, I am so glad that you found this article helpful. Thanks! thank you very much for sharing an important and useful information….